Sonny has previously surprised us by performing in the Nativity at Christmas, although he only stayed for the first half. When they announced they would be putting together a play to show everyone what they have been learning about at school, I was excited. Sonny was to wear a pair of blue trousers and a blue t-shirt to become a blue alien in the play. All was well and good in the run up, I didn’t hear too much about the progress of the play but I had the date in my diary and was really looking forward to sit amongst the other parents and watch my little boy up there on the stage. I spoke with Sonny’s 1:1 when I dropped him off at the office this morning. He’s had a few difficult days post birthday celebrations. We were all up at 6 am and were ready and breakfasted on time, but Sonny wasn’t happy. Everything was a challenge, he was in tears over anything and everything and in the end, I’d lost count the number of meltdowns we had to diffuse. Despite it all, we made it to school on time, all with smiles and that was an achievement in itself. I told Sonny’s 1:1 that he’s had a tough morning with many a meltdown and in all honesty, I knew he would not be able to cope with the school play. As he was so tired, I recommended he not take part and instead do something calm and quiet with her. In hindsight it was probably the build up to that which was causing Sonny angst. She completely understood and we both agreed that today this is what was needed to get him through the school day. I learnt that he hadn’t really wanted to take part in any of the rehearsals and found getting up on the stage too terrifying. I’m not good at many things, but there are a few things I know I am great at. Being a mother is one of them. I am so hard on myself, I am my own worst critic but I know deep down what Sonny needs. With that in my mind, I continue to make decisions that are in Sonny’s best interests. If I’m right then great and if I’m wrong, then we make it as a lesson learnt and try again. That’s what being a good parent is all about. 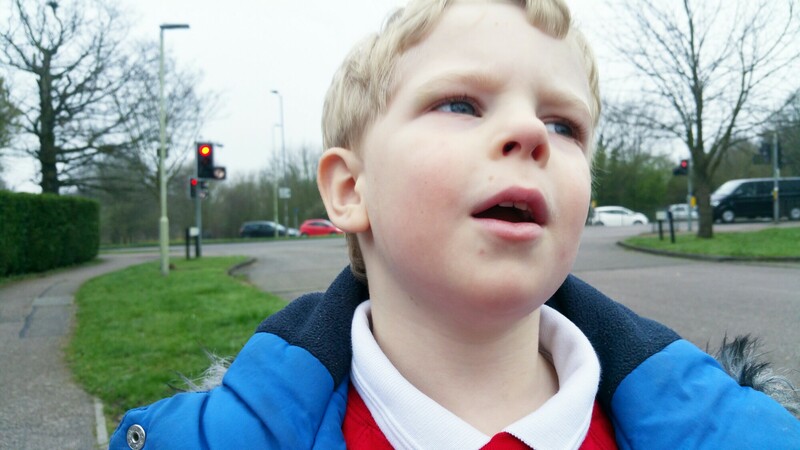 Before Christmas, I beat myself up for not allowing Sonny to go the school pantomime, as I knew it would’ve be too much. This time, I had no doubt that the decision to keep him from performing in the play was the right decision to make. There is no point in encouraging him to do something he doesn’t feel comfortable with. It will only make things worse and that’s not what anybody wants. 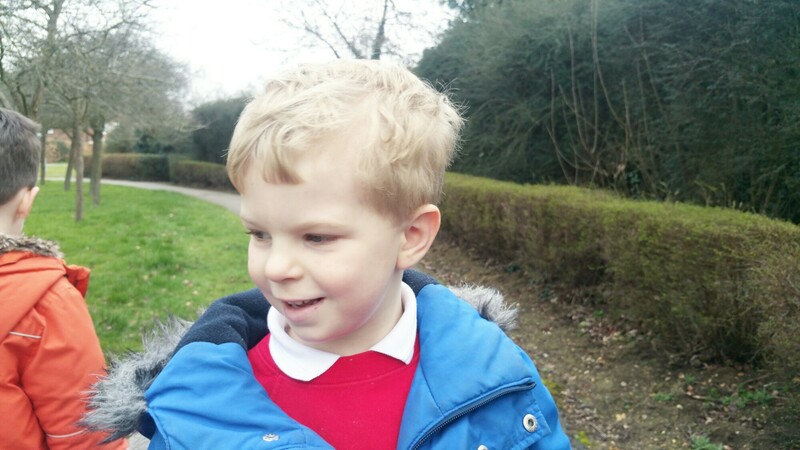 A year ago, I was seriously concerned that Sonny wouldn’t be able to thrive in a mainstream school and he is. It’s incredible what progress a child can make when all the right support is put into place. I can’t thank Sonny’s school enough for making it possible for him to access a good education, in an environment in which he adores and feels at home in. I love to see him grow in all areas of learning. Even though I know he is not as far advanced as other children his age, I love to watch his reading come along and when I watch him form his letters in the air with his pointy finger, my heart melts. So in the grand scheme of it all, missing a school play to show what he has been learning isn’t the end of the world. I can see what he learns in all the little things he does. I can see his progress in the way he plays with his brothers at home. 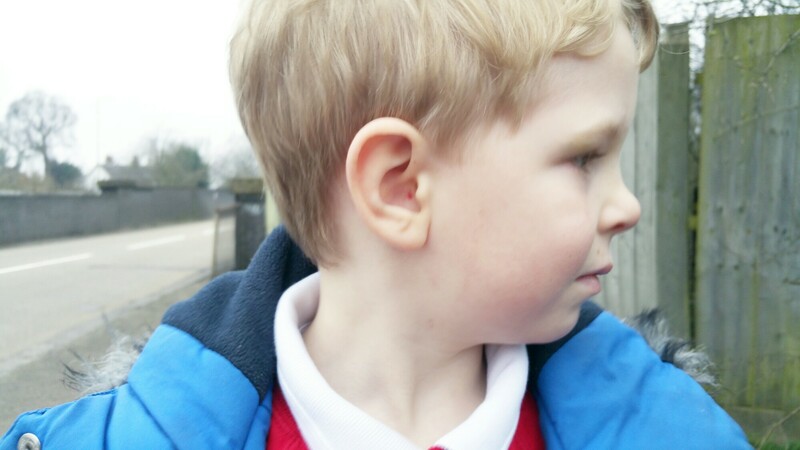 I can see it in all the beautifully formed words in which he speaks now thanks to daily speech and language support. Today isn’t the day for a school play, but maybe next time will be.